Is the Millennial Debt Crisis a Stewardship Crisis? Getting out of debt doesn't just happen. Here are 5 steps. This generation faces a debt crisis. There’s little denying that many of the factors aren’t necessarily their fault, but the reality remains. And at least for Christians, this debt can lead to a stewardship crisis, too. As I think about debt, I recall the Parable of Talents in the Bible where the master going on a journey gave three of his servants’ talents to manage in his absence. Two of his servants did a great job by investing their talents, but the last one simply kept his talent. Upon the master’s return he was furious at the last servant—he took away his talent and gave it to the servant with the most talents all because he refused to invest the talent (Matthew 25:14-30). Now imagine what would have happened to that servant if he actually spent the talent carelessly and went into debt? Yikes! That would have been really bad. The point I am trying to make here is that as Christians, God is expecting us to be good stewards of the material blessings he has released into our lives. God has not called His children to be in debt rather to be lenders to nations (Deuteronomy 28:12). With this understanding, we must find every way to get out of debt and increase in wealth to become a blessing to others. Getting out of debt will not just happen on its own. It requires energy, focus and planning. God has given us the capacity to conduct practical budgeting as a means to get out of debt and become a blessing (Proverbs 21:5). The whole principle of practical budgeting is simple: Spend less than you make (Proverbs 21:20). The only way we can do this is by looking at the numbers in detail. In looking at the numbers we can rearrange, eliminate, decrease or increase them until we get to the point of spending less than we make. I have provided practical steps below that anyone can follow in order to conduct monthly budgeting that will lead to a debt-free life. Please note that these steps may require major lifestyle changes for anyone that decides to follow through with it, but the rewards are great at the end of the day. Sit down at least a week before the month’s end and ask yourself what you will make in the next month. 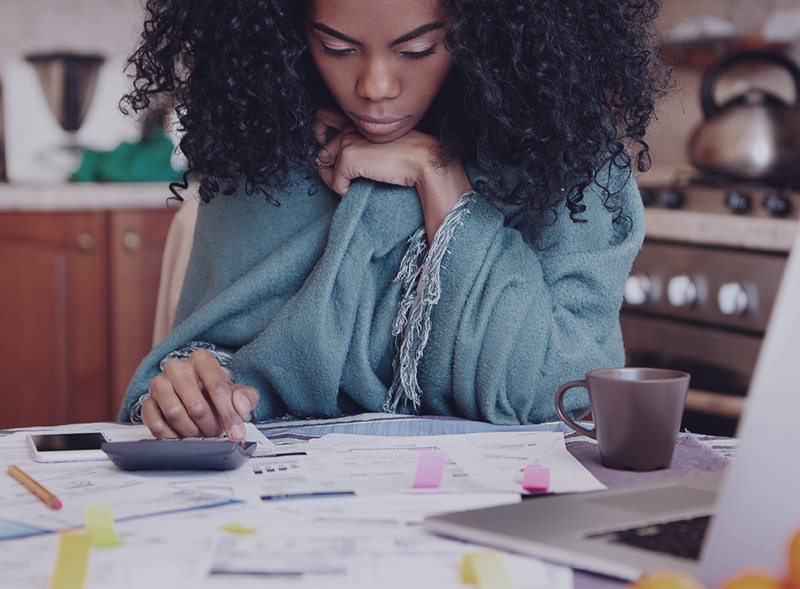 If you don’t know the answer to that question, then it’s time to go into your bank statements and pull up the last three to four months of income. You will total up all this income and take the average of it. This number can be your starting number. Let’s have a practical example and say your estimate is $1000. Once you have a good number it is time to reduce that number by 12 percent. The idea here is that you will set some money aside for savings and critical expenses. I believe that 12 percent is substantial enough to get your momentum going on both jump-starting your savings and debt reduction. In addition, it is also a practical goal for you to reduce your monthly expense by. In our example from the first step your new monthly income budget is $880. The next step is to itemize all your anticipated monthly expenses. Look at your historical data from your bank statement and write out what you think you will be spending money on in the coming month. This will include things like grocery, bills, rent or mortgage and so on. For bills like credit card, write down at least your minimum payments. The next step is to compare the total of your expenses to the amount of income. If your total income is higher than your expenses, ask yourself what you can do without in order to balance both numbers. This question is very important because it requires you to be sincere and real with yourself. The issue here is that your expenses are greater than what you can afford so you are living beyond your means! Consider cutting or reducing your monthly non-basic amenity bills such as your phone, cable and internet. Be practical! Find cheaper services that can support your needs versus your wants. Stop eating out and start cooking at home. If you don’t know how to cook, use YouTube to get ideas. Your car note is a big bill. Prayerfully consider selling that car and buying something cheaper cash out. Be willing to pick up a side gig to increase your income. You can tutor at the local library or sell things you create on eBay or Etsy. Be creative and make consistent side money. There is always the option of getting a second job if you believe in that as well. Now it’s time to go and live out what you have planned. Be attentive to the numbers and don’t get carried away. Swipe your debit card wisely. On the issue of cards, you must prayerfully consider discontinuing the use of credit cards. Christians are meant to be lenders to nations and not borrowers from nations. The whole purpose of your budget is to stay out of debt and grow wealth to be a blessing. Remember the 12 percent you kept aside? Split that amount in half, put one half into your savings account and the other half goes toward paying down your credit card debt. I recommend following Dave Ramsey’s debt snowball approach for paying off these debts. After making minimum payment for all debts (which should be part of your budget) attack the smallest debt first and continue to move up through debt amounts. There is no point being a slave to the lender as a child of God. It is wise to always revisit your budget in the month and re-evaluate it especially if your estimated income is well under the trending income. It is my hope that this article will be a lifestyle changer for anyone trying to live out God’s principles of getting out of debt. Dr. Olaniyi Balogun is the founder of churchbookkeepingtool.com, a church management software company. He is also the founder of 3bgconsult.com, a consulting company working with churches for over decade on strategic alignment between vision and church daily activities.